I, along with JAINA Secretary and India team visited Bidada Camp in Kutch, Veerayatan in Rajgir, Shikharji and few other places related to life of Bhagwan Mahavir. Hope you will enjoy reading about the whole trip. Ahimsa holds the key position in the whole scheme of the ethical discipline of the householder and the monk. Q 1: How many senses are there? Q 2: What is Paryapti? Q 3: How many different Paryaptis are there? Shree Bidada Sarvodaya Trust is a charitable non-profit organization. The organization is committed to render medical and surgical treatment to patients of all ages, caste & race. The trust is well known for the medical camp it organizes every January in village Bidada, Kutch, India. JAINA team visited Dental Camp in Bidada this year. 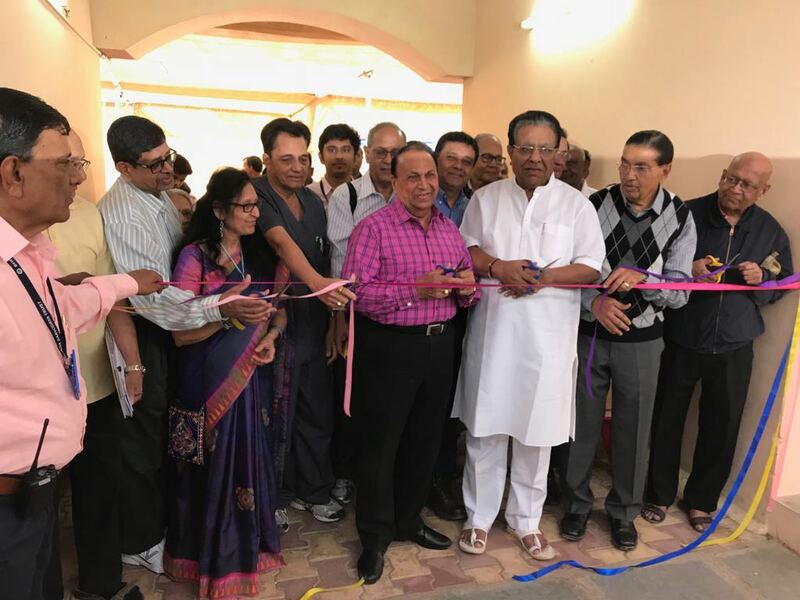 JAINA President, Mr. Gunvant Shah with other dignitaries inaugurated the camp.Dr. Girish Shah from Long Island, New York was in charge of the Dental camp. Gurudev Shri Amarmuniji had inspired Acharya Shri Chandanaji to dedicate her time and limitless energy to uplift humanity in the name of Veerayatan. JAINA is proud to visit Veeraytan to celebrate Republic Day of India and 82nd Birthday of Acharya Shri Chandanaji. 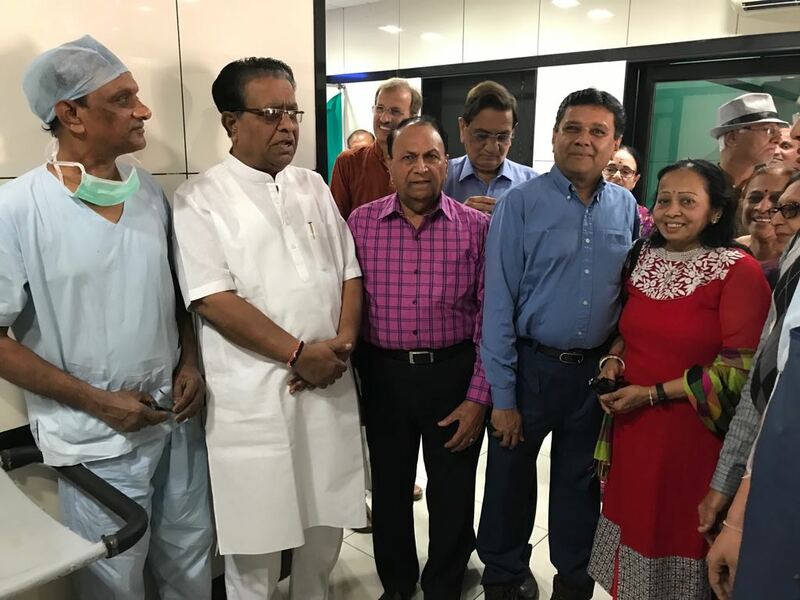 After breakfast, everyone gathered around where Acharya Chandana Shriji, Sadhavijis, Dr. Abhay Firodia, Gunvant Shah and many other dignitaries hoisted the national flag. 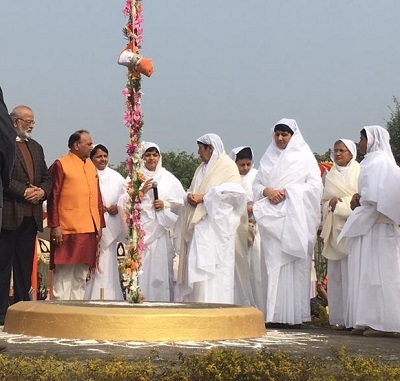 Later, the event was followed by a speech from dignitaries around the world, Acharyashriji and Dr. Abhay Firodia. 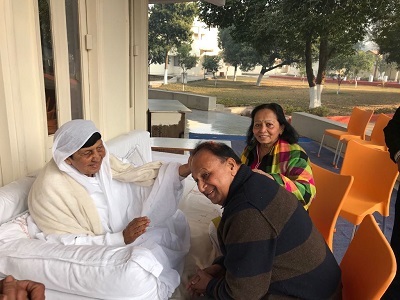 JAINA President, Gunvant Shah mentioned how Acharya Shriji has work towards social upliftment across the globe through Seva, Siksha and Sadhna. He also added that today the problems around the world like, nonviolence can be solved by simple principle based on Jainism ‘Live and Help Live’. JAINA team started their Shikharji jatra, the place where twenty out of twenty-four Tirthankaras attained salvation, around 5:00 am after bowing down at Bhomiyaji temple and completed around 7:00 pm. There are 31 tunks in total. 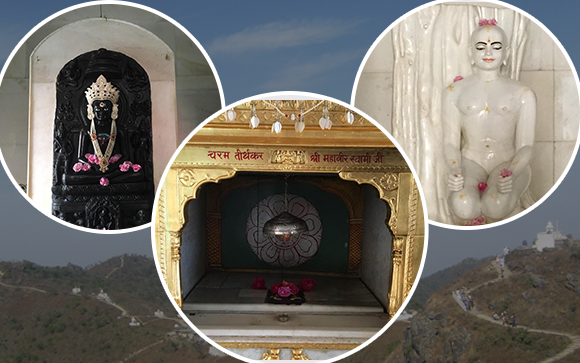 On the way to Veerayatan from Shikharji, team visited Rujuvalika Tirth - the place where Bhagwan Mahavir attained Kevalgyan, Kshatriyakund Tirth - the place of Bhagwan Mahavir’s Chyavan Kalyanak, Janma Kalyanak and Diksha Kalyanak, and Pawapuri Tirth - the place of Bhagwan Mahavir’s Nirvan Kalyanak. This idol of Simandhar Swami is from the 16th century. Jains believe that Simandhar Swami is a Living Jina. 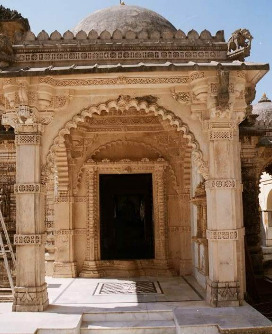 They believe he is currently in Mahavideh, a world in the Jain universe where 20 tirthankars currently exist and where souls can attain liberation. This image depicts Simandhar Swami in conversation with Indra, singing praise of Shatrunjay as a place of worship. Just outside Simandhar Swami Temple are idols placed in two recesses. The first recess with the artistic panel is an ancient idol of Saraswati Devi, the goddess of knowledge. 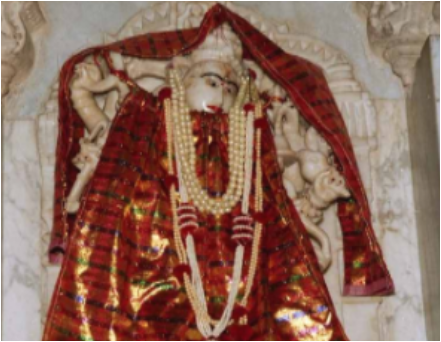 The second recess has an idol of Ambika Devi. She is the attendant deity of Neminath, the twenty second Tirthankar but is also a figure of worship in her own right. In Sanskrit, the name Ambika means “Mother” and so she is closely associated with motherhood. As a goddess, Ambika’s soul is subject to the cycle of birth and rebirth. She can intervene in human affairs, unlike tirthankars, who are liberated, perfect souls, completely detached from everyday human experience. Some Jains worship gods partly to request help with worldly matters, ranging from issues of health and fertility, to passing school exams, to business success. WHAT'S THE MOST BEAUTIFUL ? A 1: There are five senses. A 2: Paryapti means a special power through which jiva converts matter (pudgal) like food into energy. A 3: There are six Paryapties.